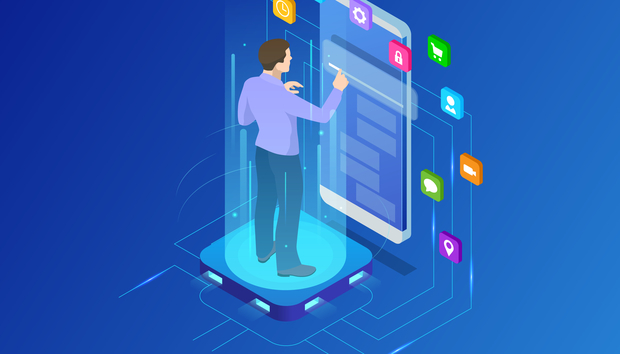 Low Code technology is considered a toolset CIOs can deploy to rebuild the legacy applications in the modernisation of the enterprise. Dealing with legacy applications is a constant challenge for organisations. Analyst house Gartner describes the typical journey as beginning at re-hosting, moving to a new architecture in the cloud, before rebuilding applications and eventually replacing them. So what is Low Code and how will it modernise the enterprise? Low Code is an application development platform. Both customer facing and internal business process applications can be created in Low Code platforms. The dominant Low Code providers are Matssoft, Mendix (recently acquired by German software giants Siemens), OutSystems and Force.com from Salesforce. Research by Gartner reveals that Low Code can increase developer productivity and the analyst house advises CIOs to consider Low Code. Productivity has to increase as 54% of CEOs interviewed in late 2017 by Gartner indicated digital business transformation was a critical objective. CEOs are thus investing in digital transformation; the same survey found a 61% increase in IT investment. With more money flowing into the IT department, the pressure on CIOs to deliver results is on. "Organisations are using the cloud to move faster, and cloud ways of working allow organisations to launch products faster," adds Forrester analyst Paul Miller. "For the CIO, this can present a migraine," CIO and transformation advisor Mark Aikman says from the IT trenches. "The CEO or Senior Leadership Team will identify a business need and there is an expectation that technology moves so rapidly that anything that doesn't already exist can be built smoothly and swiftly." Mark Chillingworth has over 20 years of journalism and editing experience across media platforms including online, live events, print magazines and television. From 2010 to 2016 he was editor in chief of the award-winning CIO UK. In 2011 he created the CIO 100, an annual power list of the UK’s most transformative CIOs.